Disney's second cartoon feature is a rum old mixture of the excellent and the awful. 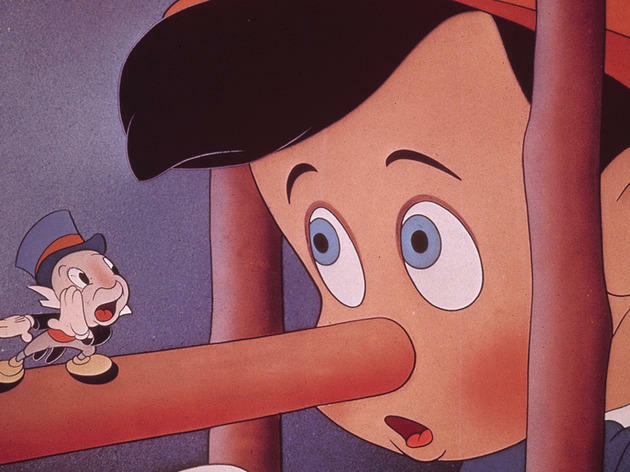 The story itself has the harsh morality and cruelty of Victorian children's literature, but Disney orchestrates his queasy material with some stunning animation of a monster whale thrashing about and much delightful background detail (the candle-holders and clocks in the toymaker's shop). However, one also has to suffer the cavortings of a cute goldfish called Cleo, and several appearances of an odious fairy. 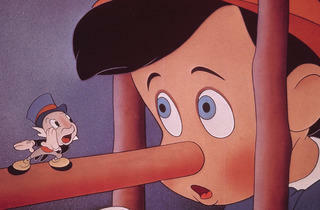 Pinocchio, in fact, probably shows Disney's virtues and vices more clearly than any other cartoon.